A Chicago mother is in line for a pretty sweet Mother's Day present this weekend. 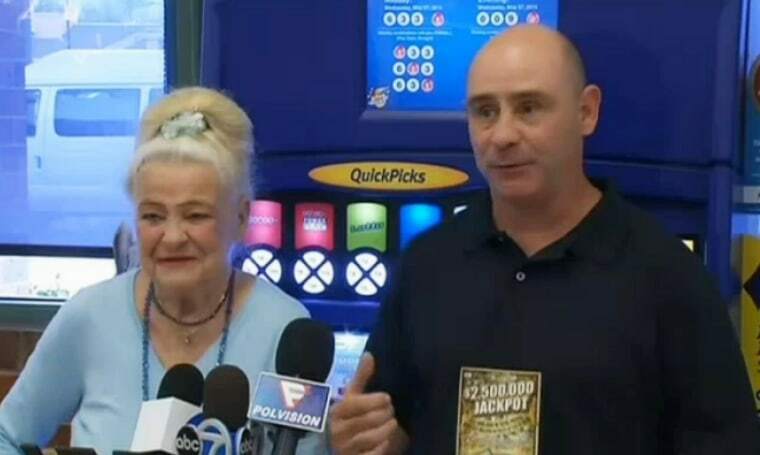 Daniel Stojak won $2.5 million from a $10 Illinois Lottery scratch off ticket that his mother, Shirley, bought for him on April 1. "I had given my mother some money to play the lottery for me because she's really, really lucky," Daniel Stojak said. Shirley bought the ticket, scratched it off for him and couldn't believe her eyes. "When she showed me the ticket, it was April Fool's Day and I thought she was playing a joke on me, and I almost didn't believe it for a day and a half that it was actually real until I made a couple of calls to the lottery office and they assured me it was a winning ticket," Stojak said. Stojak, 46, says he plans to go on vacation and do some home repair and maybe buy a new car. And of course, he says he'll do something nice for his mom on Mother's Day.